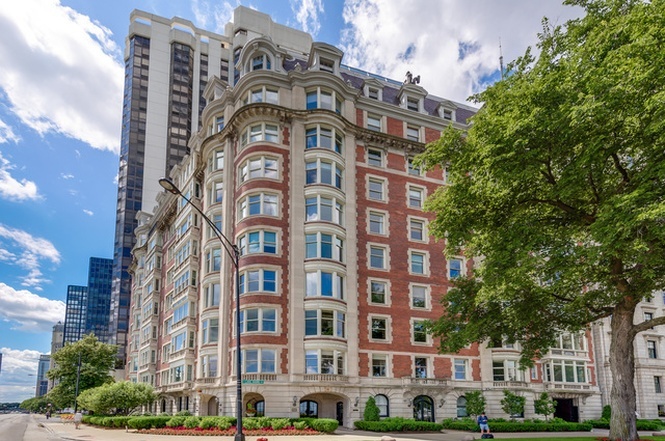 Designed by architect Benjamin Marshall and completed in 1912, this brick and limestone 10 story, 25 unit cooperatively owned apartment building located in Chicago’s Gold Coast neighborhood has been a prominent part of the Streeterville lakefront for over 100 years. As the building architect, HPZS was contracted to review renovation plans for individual unit owners for compliancy to current code and zoning restrictions as well as adherence to building policy. HPZS assisted the corporation in establishing building standard guidelines for renovation and construction which included window replacement requirements that take into account the Landmark status of the building as well as exterior paint color selections, developed a multi-phased, multi-year improvement program which included plumbing riser and horizontal branch pipe replacement along with an evaluation and testing of possible existing hazardous materials. This program included a sensitive approach to the infrastructure upgrade by assessing each residential unit to minimize the impact to the interior finishes and the residents themselves.